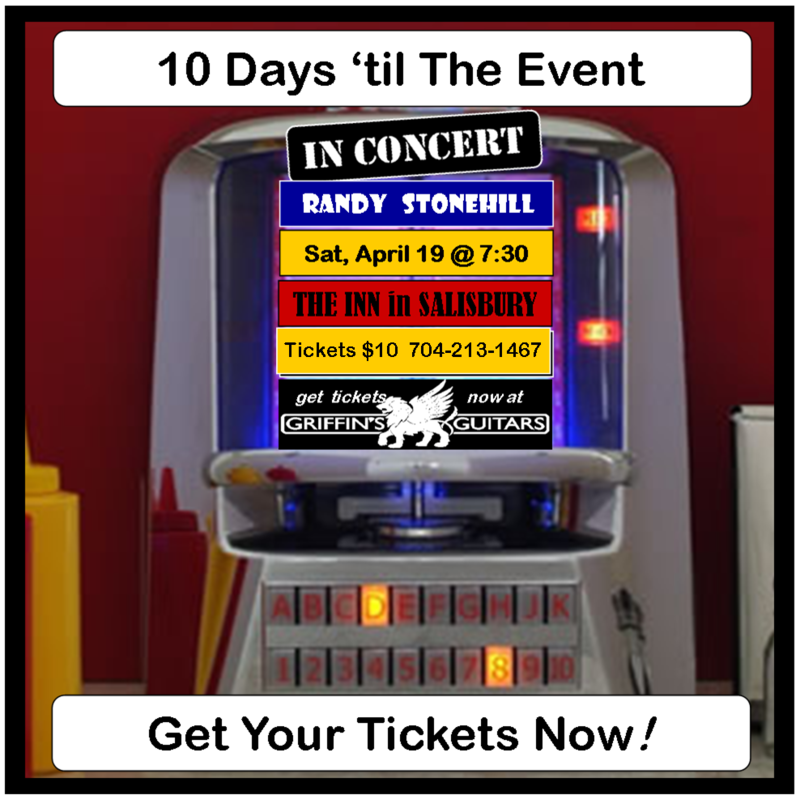 RANDY STONEHILL will be appearing "Live in Concert" on Saturday, April 19 @ 7:30 pm @ THE INN in Salisbury, located near the intersection of Hwy. #150 and Jake Alexander Blvd. 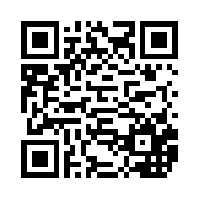 at : 1012 Mooresville Road. Randy is one of the legendary pioneers of Contemporary Christian Music (CCM), recording his first album, "Born Twice", in 1971 at the young age of 19, with funding from pop music legend Pat Boone. In 1976, he recorded his first major release, "WELCOME TO PARADISE", on the Solid Rock label, an album that eventually was voted one of the Top 3 contemporary Christian albums of all time. 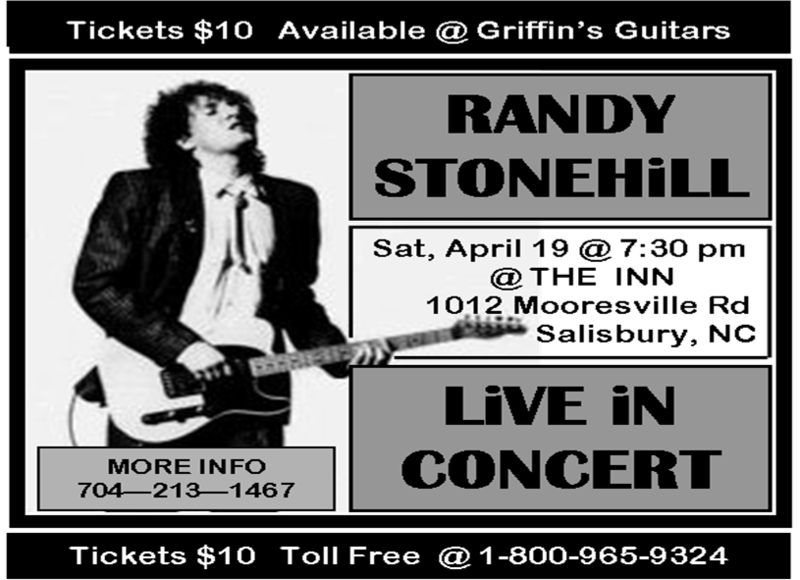 Randy has released over 25 albums spanning his career, and in 2010 was nominated and inducted into the Christian Music Hall of Fame. He has toured the US and internationally many times, and recently has re-located to the Carolinas, and we are fortunate to be able to host him here in Salisbury for a concert event. Hosting this event, in addition to INN operator Tom Millspaugh, is guest MC Dave Bumgarner from Christian station WBFJ-Radio in Winston-Salem. Opening act for RANDY will be talented local artists Jeremy & Jessica Vess. We are very excited about this event & hope you will plan to be there with us!